Would You Rather...? 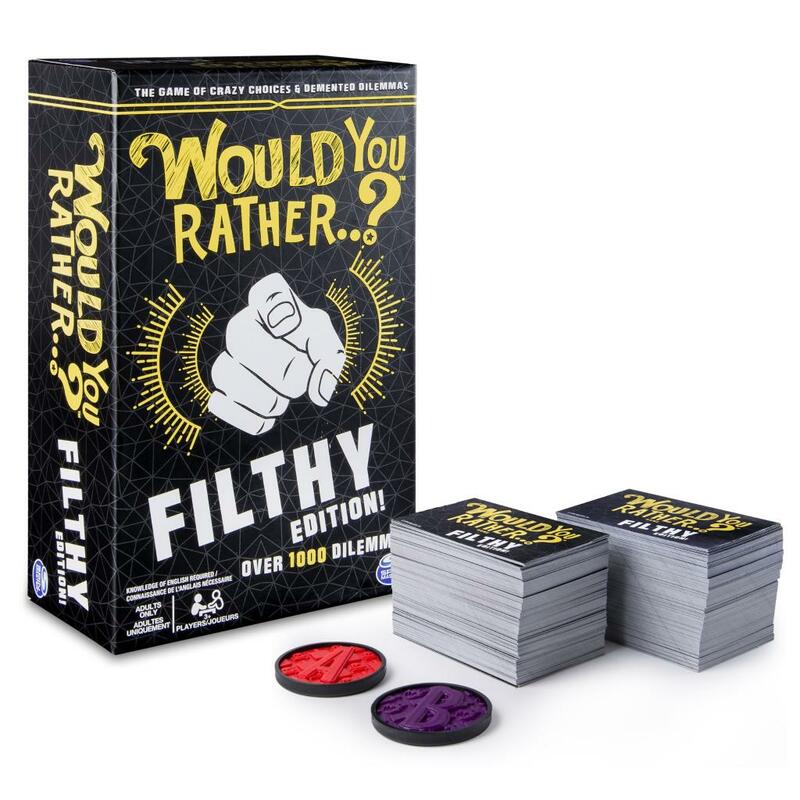 Filthy Edition is the game of crazy choices and demented dilemmas for adults! Would You Rather…? 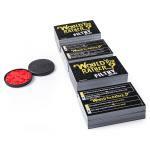 Filthy Edition is the game of crazy choices and demented dilemmas for adults! Your goal is to figure out which dilemma the other players would rather do. There are two ways to play: Classic Dilemmas give you two outrageous options to choose from, and Fill-in-the-Blank Dilemmas have missing words that you provide. 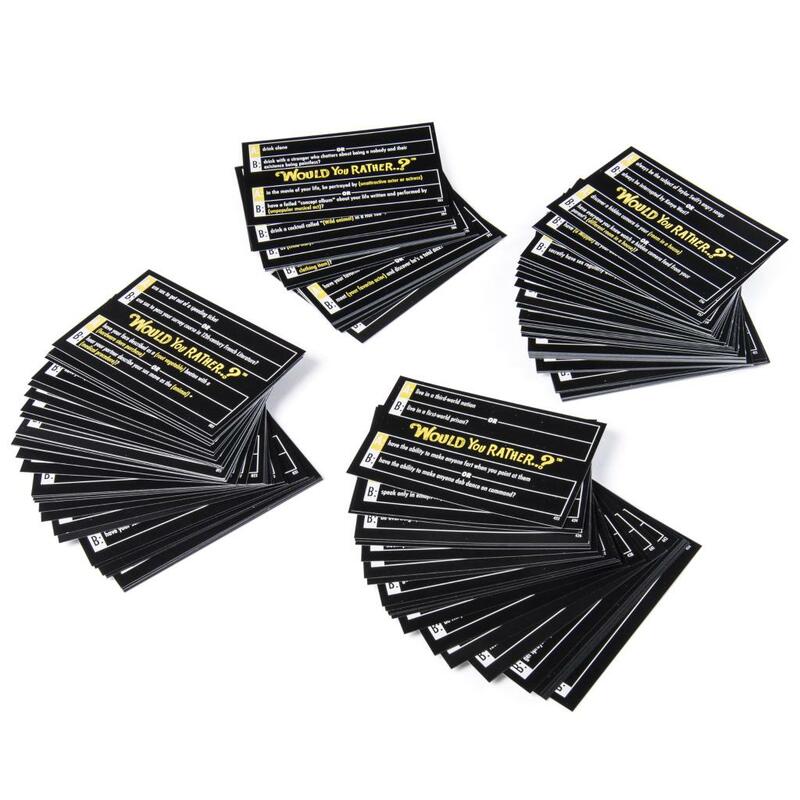 Once the group has revealed their choice, turn over your previously selected Voting Token to see if you matched. 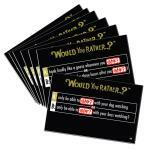 With over 1000 dilemmas to choose, Would You Rather…? 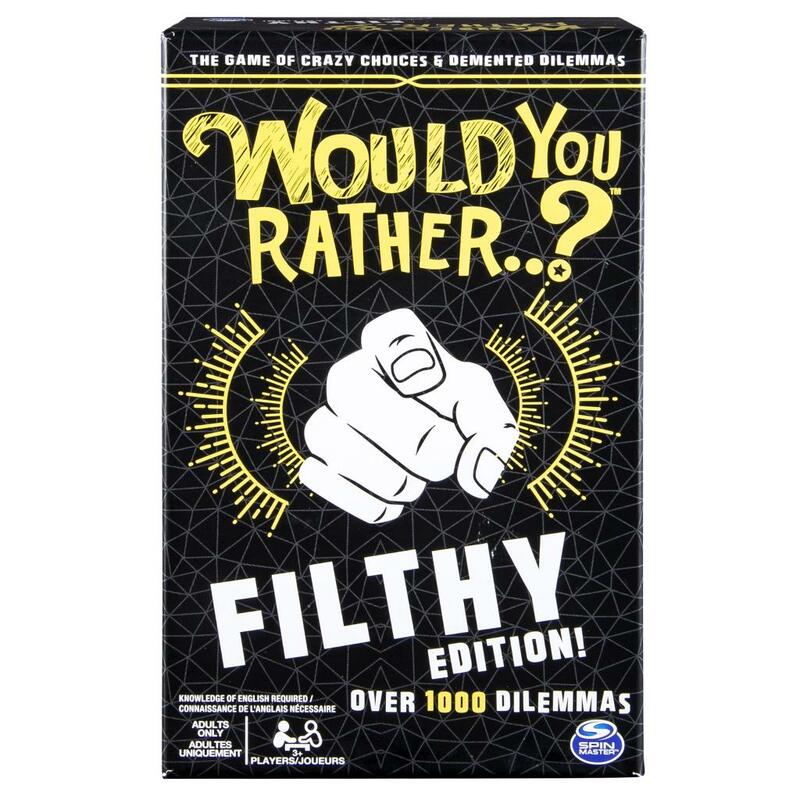 Filthy Edition is the game of obscene choices for adults. Fill in the blank as filthy as you want to be. Obscene choices are all part of the game! 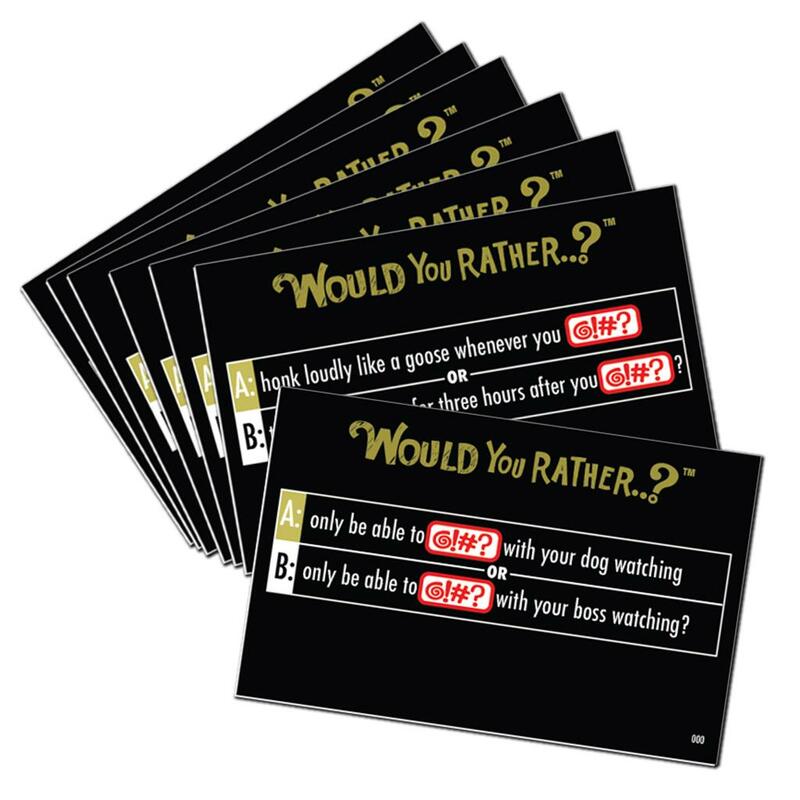 A or B dilemma cards offer two different options to choose from. 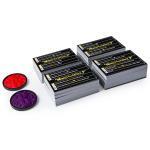 Over 1000 dilemmas for adults only! Would You Rather…? Filthy Edition for 3 or more players ages 18+. No batteries required.